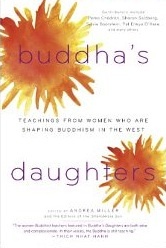 Buddha's Daughters: Teachings from Women Who are Shaping Buddhism in the West is a collection of wonderful teachings compiled by Andrea Miller, an editor at Shambhala Sun magazine, one of the premiere Buddhist magazines published in the West. The women teachers featured in the collection are from all different branches of Buddhism, and the topics included cover every facet of Buddhism. Contributors include Lama Tsultrim Allione, Pema Chodron, Tara Brach, Tenzin Palmo, Sharon Salzberg, Joanna Macy, Charlotte Joko Beck, and many more. "Some critics have claimed that to place an importance on there being women teachers is to inappropriately genderize the dharma. As I see it, however, it's actually a small step in degenderizing it. Though the Buddha taught that at the ultimate level there is neither male nor female, at the relative level that's far from the case. Beyond just having different bodies, we are socialized differently and accorded different roles and privileges. In a myriad of ways, these factors determine how we experience the world and, by extension, how we experience the spiritual path. So, while both male and female teachers can speak on the universal human experience, women can also have a unique perspective that can be helpful to both male and female students." This collection stands out to me because every essay focuses on the relevance of Buddhist teachings and practice within modern life. Some are focused on daily life, such as Jan Chosen Bays' 'The Joy of Mindful Eating', in which she offers step-by-step instructions for fully connecting to the experience of eating, beyond thought. Another example is Judith Lief's 'The Middle Way of Stress', which offers a deconstruction of the different types of stress we experience, and ways to move through them. Sister Chan Khong also focuses on stress, and offers us a deep relaxation meditation. Other essays are focused on Buddhism's relevance in the face of major life challenges, such as Darlene Cohen's 'The Scenery of Cancer', in which she deeply probes what it mean to truly open to all life experiences, including pain. In 'The Journey of Faith' Sharon Salzberg shares the story of her own traumatic childhood, and the way Buddhism brought her back into engagement with the world from the disassociated, disconnected state she had created for herself. 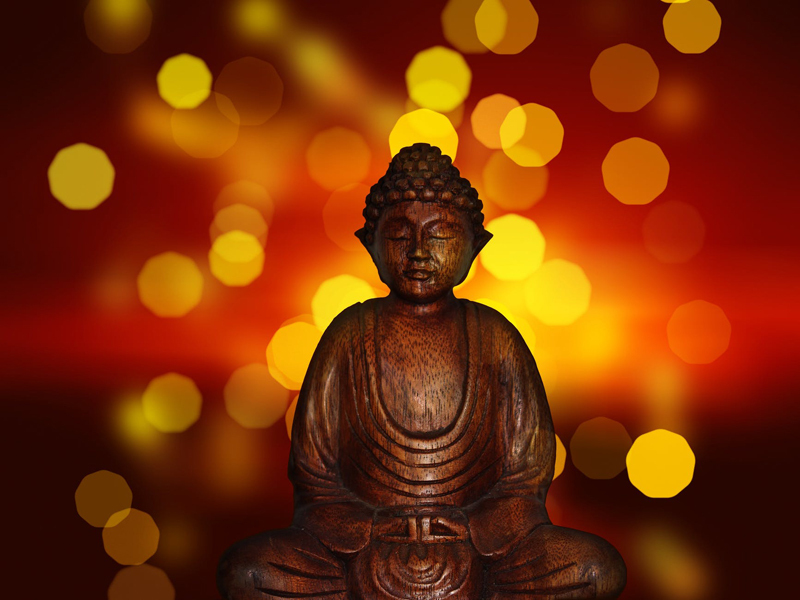 Some essays describe how Buddhism offers a paradigm shift to help heal the ails of the world. Lama Tsultrim Allione explores the cultural habit of 'fighting' rather than 'feeding' our demons in 'Meeting the Demon.' In 'Practicing Peace in Times of War', Pema Chodron probes what it really means to take responsibility for any hardening or closing that takes place in our own hearts and minds. In 'Include Everything', Pat Enkyo O'Hara describes what she learned about true compassion when she engaged in an experiment living homeless on the streets of New York City for four days and nights. Other essays are simply beautiful and accessible teachings on Buddhist principles, such as an offering by Khandro Rinpoche on impermanence, Christina Feldman's teaching on the conceit of self, or Tenzin Palmo's clear and succinct explanation of Vajrayana. Each essay stands on its own as an insightful teaching, and so this is a book to be read slowly, so that each teaching can be absorbed.